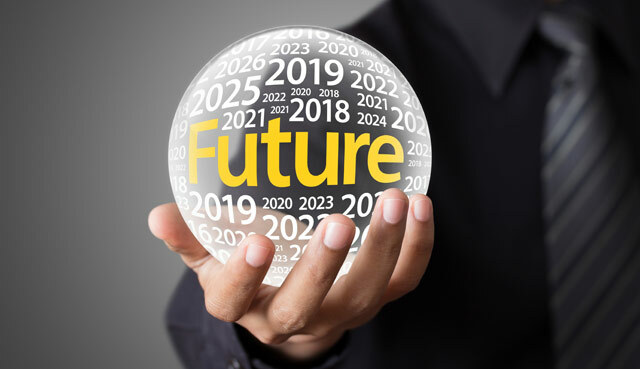 Now that we have started to settle into 2019, I’d like to tell you what I think we will see this year in the real estate market. I’ve consulted my crystal ball, and here’s what I see in store. So let’s go back to the last time real estate was at its peak—2008. That year the mortgage crisis caused a major drop that lasted until about 2012, when we saw prices finally start to stabilize. Not coincidentally, that was a 4-year drop. If we then look at the 7-year growth period starting in 2012, we should expect to enter the Mid-Cycle Slowdown sometime in 2019. During the Slowdown, which typically lasts 1.5 to 2 years, prices will level off and then fluctuate before resuming their climb until about 2025. If we look at the statistics for our Columbus market, there is evidence that we are heading into the start of the Mid-Cycle Slowdown. 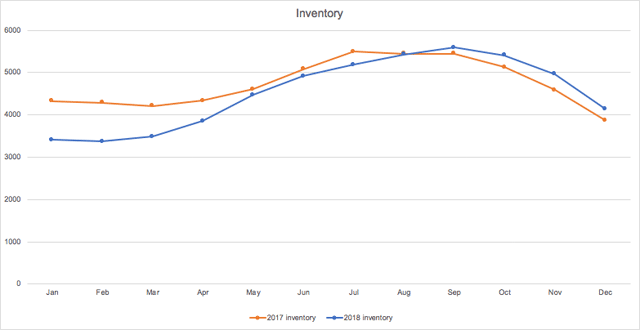 In 2018 we saw the continuation of a 7 1/2 year streak of decreasing year-over-year inventory (i.e., the 2018 inventory for a given month was below that same month’s inventory in 2017). However, in September that 91-month streak was finally broken (see Figure 2). The number of homes listed on the MLS was higher in 2018 than the previous year from September through December (January numbers won’t be available until mid-February, but as of this writing the trend is holding). 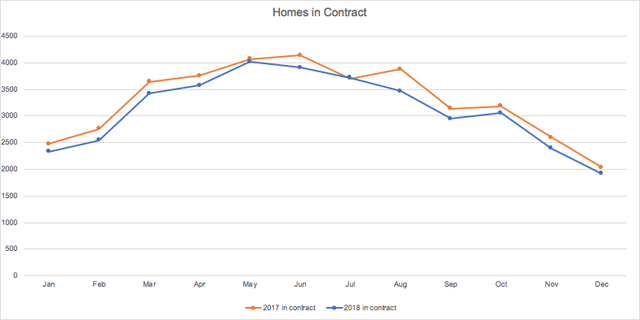 At the same time, the number of homes in contract for each month in 2018 was less than that for the same month in 2017 (see Figure 3). So the number of homes in contract is decreasing, while the amount of inventory is increasing. If you are considering selling your home this year, you will still be able to receive a high price for your house. Not quite as high as last summer, perhaps, but still quite good. However, I expect to see more sellers enter the market this year to take advantage of this phenomenon, so you should plan on your house taking a little longer to get into contract. In certain neighborhoods we will still see a few pockets of intense competition like we did last summer, and some lucky sellers will be on the market for only a handful of days before receiving multiple offers above their asking price. However, I expect most homes in desirable areas will take 3-4 weeks to get into contract, and they may sell at or slightly below the list price. If you are looking to buy a home this year, I predict that you will have an easier time than you did last year. Some buyers, frustrated by intense competition and crazy-high sale prices, will decide to sit it out for awhile. At the same time, we should see an increase in homes for sale, as I suggested above. These two factors will result in less competition for a specific home (i.e., fewer bidding wars) and more selection from which to choose. 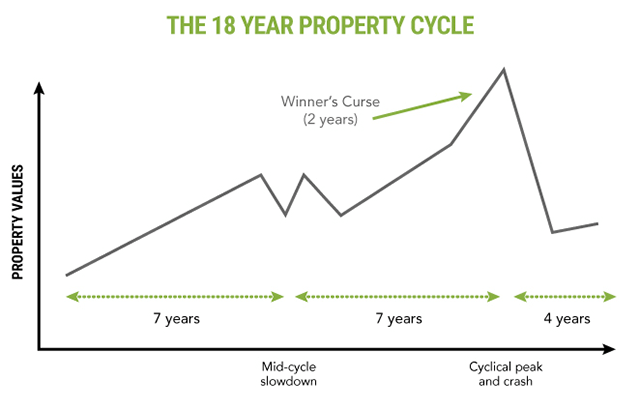 Understand that after you buy you may see prices decline a little bit while we are in the Mid-Cycle Slowdown. Know also that prices will rise again in a year or two. This is not a time to try and time the market. Go out and find the home that’s right for you. Just make sure you do your homework so you know you’re buying within your means. As I did in my October post, I want to make sure you understand that I’m not an economist, and I don’t actually have a crystal ball or some secret insight into the future. What I have shared here is my own opinion based on research. It is not intended to be, nor should it be taken as, advise about what you should do next. Please do your own research and come to your own conclusions. If you have any questions at all about what I’ve written here or would like to talk about possibly making a move yourself, please contact me. And of course, if you hear of someone looking to buy or sell a home and think they would appreciate the service I provide, please drop me a line with their contact information and I’ll take it from there. I am never too busy for your referrals, and I promise I will take great care of them!